The days of the Hollywood wind-swept facelift t look have long and truly passed – and Cosmetic Surgery Partners are pioneers in developing natural looking and minimally invasive face lift techniques. The results; a lasting effect with minimal tell tale signs of surgery. Our groundbreaking PSP facelift – developed by Cosmetic Surgery Partners founders Dai Davies and Nick Percival – has been presented at leading medical conferences and surgical meetings across Europe and has even been featured in the American ‘Core’ training manuals which are regarded by many to the bible for trainee cosmetic surgeons. 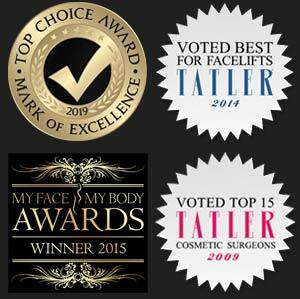 Our surgeons have performed hundreds of successful facelift procedures, so it’s no surprise their superior expertise led to the practice being voted Best for Facelifts 2014 by Tatler Magazine. To begin your face lift journey you must start by booking a consultation online today. If you’re still not sure and want to find out more information you can view our FAQ section below or call our medically trained team today on 02074 866778. Although surgery results are dependent on a healthy lifestyle along with a good skin regime relatively speaking they will last far longer than any non-surgical treatment such as dermal fillers. Most of our patients are still seeing the benefits of facelift surgery many years following surgery. Yes, all patient undergoing face lift surgery must stay overnight at our purpose built hospital location. Fortunately you will be recovering in style in a private hospital room with your personally assigned nurse on call. Generally speaking 4-6 weeks is the average healing time following face lift surgery. It is at this point that the surgeon will see you for your follow up consultation and be able to give you the all clear. Although it may seem like a long time you will find yourself being able to restore normal daily activities a lot sooner and you’ll be surprised as to how quickly the initial swelling goes down. Will people be able to tell I’ve had face lift surgery? When it comes to face lift surgery our surgeons are experienced in achieving long lasting and natural looking results. Furthermore they are experts in creating scars in places that are hard to detect that will keep your friends and family guessing. Furthermore, if you don’t want anyone to realise you’ve had a facelift, we recommend you wait three weeks before showing people, and change the colour or style of your hair. They’ll think you look fantastic and refreshed – but the results are so natural and flattering that nobody will guess that surgery has been performed. We find that on average our face lift patients are 40 years and older. In some cases we find that patients can benefit initially by receiving a series of non-surgical treatments prior to considering a face lift. Fortunately being experts at both, they will be able to advise you on your personal best course of treatment during your initial consultation. If we don’t think you are ready to have a face lift, we will tell you so! 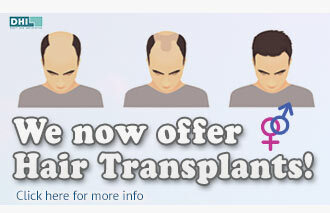 Can I speak to someone who has had the procedure before? To put you at ease and in order to give you a full insight into the patient journey we recommend our ‘buddy system’; where we can put you in touch with previous patients who have experienced the face lift procedure at Cosmetic Surgery Partners. Are there any alternatives to Face Lift surgery? Yes and no. On the one hand some patients could benefit from having a number of other procedures such as a brow-lift, neck lift or eyelid surgery however none of these procedures will be able to address the symptoms which can be averted via face lift surgery. Are expert consultants will be able to talk your through the range of treatment options available to you during your initial consultation.